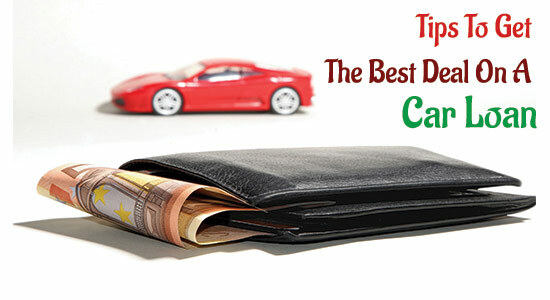 Hello guys today's article is all about Tips to get the Best Deal on a Car Loan. Buying a car before was a too big challenge for anyone because it had to spend a lump sum amount, but due to the available car loan, it has become very easy. Banks and non-banking finance companies offer car loans at easy monthly installments, which makes buying a car easier. 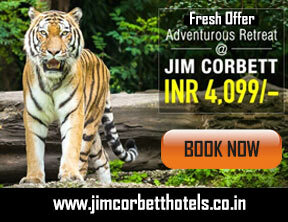 It also does not stop your budget and also receives the convenience. There are many banks that provide loans for new and old cars. In the end, by reading this article, you will know which documents are needed for the car loan, at what are the best way to get a car loan? Bank provide the car loans to buy a new and old car. To buy a new car, it is quite easy and the interest rate is also low. But, the interest rate for the old car loan is very high. The only reason of high interest on an Old car loan is the life of the old car has diminished. Address Proof: You can submit any document for its eligibility, in which the full address is written. Such as Aadhar card, driving license, identity card, or family ration card. Identity Card: Any document that identifies you as a person can be here. Such as Aadhar card, identity card, driving license. Income Certificate: In this, you can submit the details of your bank passbook. If the salary comes every month, you can also apply the salary slip in it. This makes the bank understand whether you are able to return the car loan with interest, or not. Car loans are based on two prices are Ex-Show Room and On Road Price. The X showroom price includes all taxes without tax and on-road, such as RTO, Insurance, Registration. The bank always gives a loan at Ex-ShowRoom Price. Loan bank offers 80 to 90 percent of Show Room Price. Some banks also offer loans on on-road prices. Different banks keep their different interest rates, some of the bank's interest rates appear to be skyrocketing, while some of the banks look at us in our range. At present, interest on the car loan currently starts from 8.70% to 9.20%. The interest rate in your chosen bank may be more or less. Duration of a car loan is between 1 to 7 years. At the time of taking a loan, the age should be between 21 and 65 years. There should be an income tax return for any loan. If you have not filled the returns yet, then file it first. A car loan is a great deal of money, so if you find fault in documents or a mistake in policy preference while taking a car loan, you may also have to pay a penalty for misleading the bank. A car loan cannot sell it without returning it with interest. Unless the car loan is completed, the car is the property of the bank. There can be a loan transfer at the time of selling, but it will have to talk to the bank. The amount of EMI depends on the loan period and the loan given. When determining the loan amount and the duration of the loan, give the correct information to the bank by making a full differential of your monthly or quarterly income. The amount of loan depends only on your income. Do not rush while taking a car. While taking a car, many people also provide car insurance, which is also called motor insurance, keep in mind that while buying a car, never buy a motor insurance dealer, they always buy online. There was a time when all the work related to the bank had to be made by the bank, now most of the time online work gets done online. To take a car loan online, follow below steps. First of all, visit the site of your chosen bank. There you will find a number of options which will include the option of Car Loan to apply for Car Loan. This is a very easy way. It can take a lot of time to get the response. But if all the documents are correct, your loan will be appropriately soon and Bank Employee will come home and give a loan. All the banks want to lend a loan before giving a loan only to check that the person taking the loan is able to repay their installments at the right time or not? When the bank gets this assurance, loan approve. Guys if you are looking best way to get a car loan to follow above steps this will help you in all way. I hope your this article provide you info about "Tips To Get The Best Deal On A Car Loan". If you have any doubts about this article you can write down comments in below comment section. We'll be happy to answer questions and will get a chance to learn something and improve from your valuable comments. If you have enjoyed this post, or if you have learned something new from it, please share this post on social networks such as Facebook, Google+ and Twitter and more.